EXCLUSIVE! Imagine that each stone on this necklace represents one of your wishes. Each is believed to have its own meaning--rose quartz stands for love, rhodonite for emotional balance and healing, aventurine for prosperity, good fortune, and health--but you can interpret them however you choose. Or make three wishes for someone you know, then give this necklace as a gift. 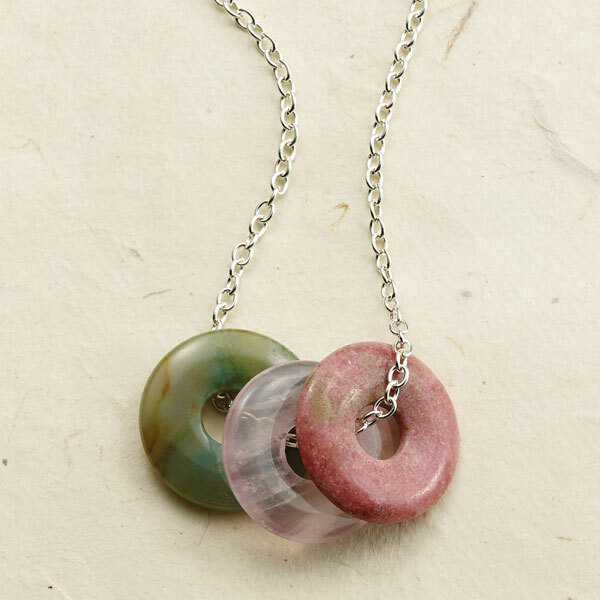 ¾" stone rings hang on an 18" sterling silver chain.